In “Unseen City,” journalist Nathanael Johnson uses his walks with his daughter to explore the wonders of wild things in the city. Nature writing is full of men heading off into the wilderness in search of something, but journalist Nathanael Johnson brings the genre into the 21st century with a refreshing, thought-provoking and humorous father-and-daughter eco-quest. Johnson goes on urban stroller expeditions with his daughter in San Francisco, seeking beauty and wonder in the commonplace. The father and daughter (with mom’s blessing) become Thoreaus of the concrete, studying pigeons, snails, crows and squirrels, and foraging for tangy sidewalk weeds. Some nature writers brave jungles or forest beasts, but Johnson faced an even more relentless challenge: the need to answer his baby daughter’s constant questions. In the beginning Josephine points to things and asks “That?” in a tone “both interrogative and imperative.” Soon Johnson moves from one-word answers such as “tree” to explaining the parts of trees. Trees ultimately lead to mysterious and possibly edible weeds in vacant lots, as well as turkey vultures, ants and other creatures that city dwellers often ignore, as if they weren’t really a part of nature. Johnson writes beautifully about the various city critters, and also captures the magic of a young girl growing up and viewing the world with fresh eyes and wonder. Josephine moves beyond “that?” to exclaim “whoa” at the sight of young fruit buds, and soon sees details her father missed, like the beautiful green sheen on a pigeon’s neck. Johnson is a realist: He acknowledges how difficult it can be to celebrate nature amid the pressures of making money, paying bills and raising a family. 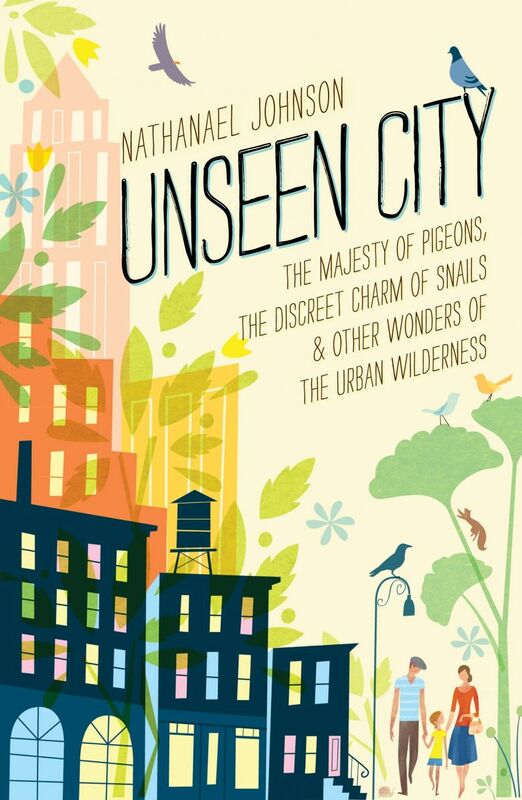 But he suggests that “if humans hope to achieve a more harmonious relationship with the natural world, we will have to see it in full: breathtaking, dirty, and inspiring, and annoying all at the same time” By the end of “Unseen City” it is hard to disagree.